More controversy surrounding ATF’s Operation Fast and Furious. The Los Angeles Times is reporting a discrepancy between what ATF and the FBI have said about the guns that were sold under the operation, which encouraged Arizona gun dealers to sell to middlemen or “straw purchasers”, with the hopes of tracing the weapons to the Mexican cartels. 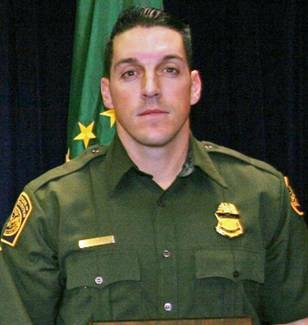 The Times reports that ATF’s top spokesman had said that no guns from the operation were used in the murder last December of Border Patrol Agent Brian Terry. Two guns had been found at the scene, but not linked to the actual shooting, officials had said in the past. But a copy of the FBI report on the FBI ballistics did not rule out a link with the Fast and Furious guns, the Los Angeles Times reported. The Times reported that the FBI records show that on Dec. 23, just days after the shooting, the FBI’s “Report of Examination” said the fatal bullet came from a semiautomatic rifle, but that “due to a lack of sufficient agreement in the individual microscopic marks of value” on the weapons, “it could not be determined” which gun fired it. Some have also tried to link guns from the operation to the murder in Mexico of ICE agent Jamie Zapata. But a source recently told ticklethewire.com that there was no link established in that shooting. Posted: 7/27/11 at 7:54 AM under FBI, News Story.